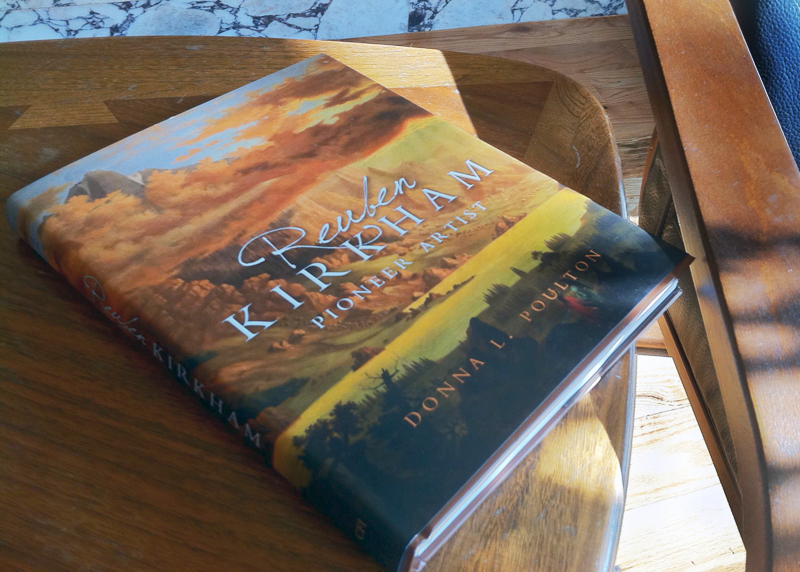 A book like Reuben Kirkham, which breaks ground by exploring the life and work of a relatively unknown artist, is never easy to write. One must consider at what point historical context becomes textual filler; when conditionals, like “might,” “could” and “would,” obfuscate rather than illuminate; and where space devoted to questions of research become stumbling blocks for the average reader. Poulton does an admirable job balancing these concerns. Her unfettered prose sails along smoothly, stopping only occasionally to tease out an argument or delve into context that would have appeared out of the corner of the subject’s eye. Most of all, Poulton has a keen eye for art and, alongside the judgments of Kirkham’s contemporaries, is able to describe and analyze the struggles and successes of this early Utah artist. It comes too late as a holiday gift, but Donna Poulton’s Reuben Kirkham makes a wonderful addition to any library of Utah art. And if you’re just beginning to collect, what better way to start than with one of Utah’s earliest artists. Read the full review in the January 2012 edition of 15 Bytes.